This blog is for all educators. 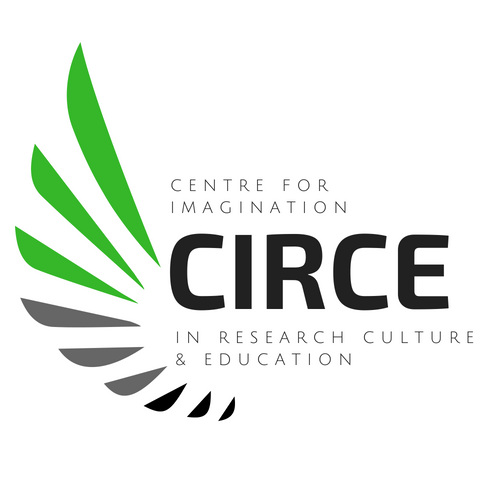 imaginED is a blog designed to support and enable imagination-focused teaching in all contexts, from formal to alternative learning contexts, and from primary school through higher education. imaginED is about education that inspires all learners. The professional community following imaginED–and contributing to it–is growing each day. By imagination we mean wonder, we mean a lingering sense of awe, a desire to know more, and pleasure in learning. We mean the sense of the possible that has been the genesis of all invention in the world. We believe imagination to be one of the most, if not the most important dimensions of meaningful and memorable learning whatever the topic. imaginED provides teaching ideas, activities and resources aimed at students of all ages (pre-k through post-secondary). Imagination-focused teaching applies to all educational settings (the traditional “classroom”, alternative learning environments, the homeschool etc. ), and to all subject areas. 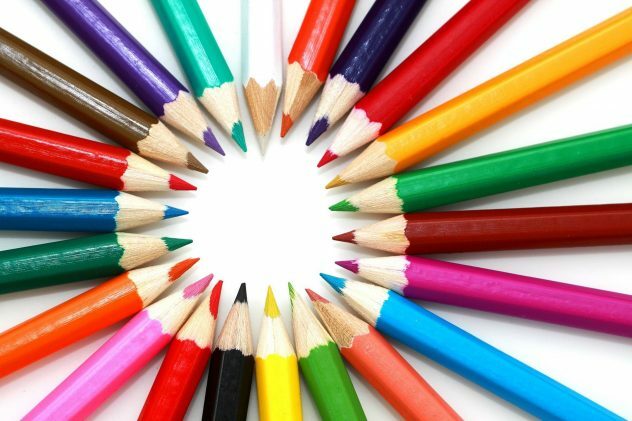 The imagination is as important to learning mathematics, sciences, economics or languages, as it is to the arts. (Quick link: Imagination Misunderstood.) On imaginED you will find practical ways to centralize imagination and emotion in your teaching and, thus, to make what you teach more meaningful to your students. You will find cross-curricular teaching resources, general ideas and insights, comic-relief, and practical strategies for teaching a broad range of subject areas. This blog is not aiming to reproduce any of the more “scholarly” aspects of Imaginative Education or Imaginative Ecological Education—those interested in learning about theory and principles can access the links and developed websites provided. 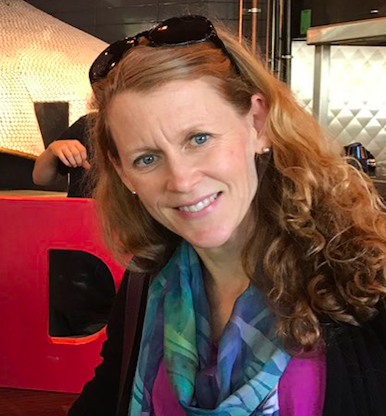 My name is Gillian Judson and I am an educator, writer, researcher, and parent. I am also the primary catalyst behind the creation, direction, and expansion of imaginED. It’s work I really enjoy because it puts me in touch with many inspired and inspiring educators around the world. In my role as a member of the Faculty of Education at Simon Fraser University (SFU), I teach mostly about an imagination-focused approach to teaching called Imaginative Education (IE) and the specific ways to engage imagination in learning all aspects of the curriculum. We often forget that all meaningful and memorable learning involves the imagination. IE is a core theoretical pillar in the work shared on imaginED. My most recent imagination-inspired area of research is in educational leadership. I am passionate about imagination’s role in Ecological or Place-Based Education. During my graduate studies, I began with the question, How can we develop students’ ecological understanding as part of their everyday education? Imaginative Ecological Education, or IEE, developed as a result of that research. IEE is about engaging the body and emotion in place-based and imagination-focused teaching. All ages, all topics, all contexts. The Walking Curriculum is the most recent publication on this topic–sales of that book come back and help me develop and expand this blog. I am also a parent of two girls. As a parent, I want to maintain and enrich their sense of wonder and engagement in a world that is mindbogglingly cool. I believe worms never get boring and birdsong is never ordinary. I believe mathematical, scientific, and historical concepts are best learned within the contexts of the hopes, fears, and passions of those who developed them. I believe the semi-colon, colon, exclamation mark, and interrobang are unsung heroes and deserve our utmost respect. Most of all, I believe teaching is story-telling. The curriculum offers us many opportunities to experience this wonder-full world. My personal webpage or my faculty webpage. P.S. If mindbogglingly isn’t a word, it should be. Before I sign off, I want to acknowledge the important role that artist Adelle Caunce has played in starting imaginED. Adelle loves the dark places of the world, the deep abyss with the glowing photophores and giant teeth. She loves the bright barren deserts and the tiny creatures that survive there for years without water, the hive of thousands with jaws that carve, crush, and catch. She loves it all and firmly believes that our role on this fantastic planet is to learn from these creatures and to respect them better than we do ourselves half the time. Adelle is the one saving spiders from vacuums and lecturing very patient people on the dangers of placing rat poison out (it can end up killing owls and hawks! And how amazing are owls and hawks? …Actually, rats themselves are astoundingly amazing creatures too!). Adelle designed the amazing logo you see on this page and has some guest posts that reveal the pure joy and love she feels towards this wonder-full planet. 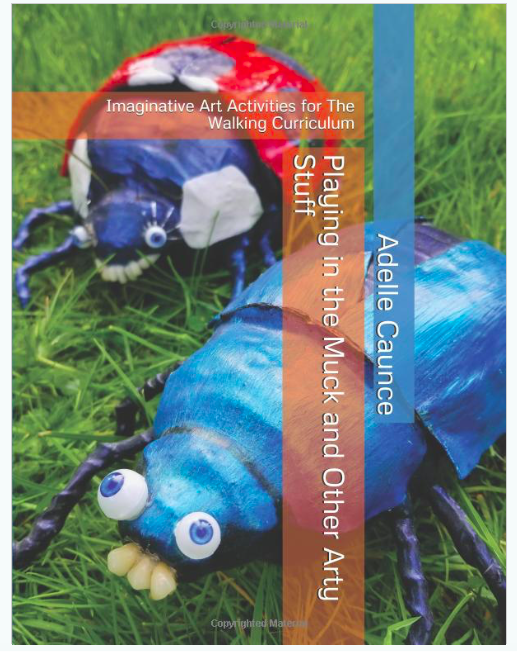 She also created a beautiful artsy resource to correspond with the Walking Curriculum called Playing In The Muck And Other Arty Stuff: Imaginative Art Activities For The Walking Curriculum. It’s awesome. To find out more about Adelle (you should): here are links to her website and blog. NOTE: Please do use the ideas, materials, activities, and freebies you find on imaginED for all your teaching needs. Sharing is caring. I hope they inspire you and your students and support your teaching. Please do not host imaginED files on your blog, website or any other public place (you can instead include a link to our blog). Do not share the files on a file sharing site, link directly to the .pdf, or alter or modify our files. Do not sell any of the content or include it as part of a kit for download where you profit. While I try to use our own images and those provided (with permission) from our guest bloggers, the source of many of our wonderful images is pixabay. Thank you pixabay! NOTE: I am a participant in the Amazon Associates Program, an affiliate advertising program designed to provide a means for us to earn fees by linking to Amazon and affiliated sites. So, as an Amazon Associate, I earn from qualifying purchases. There is NO increased cost to you. I am so excited to find your blog. I am the author of some little books for children and my focus is on play, imagination, and place-based learning. I have created some little local animals using Fimo clay which I then take out into BC settings and photograph. I create adventures for my animals and write them up in books. A big part of my work is around a process I call ‘Read, Play, Talk, Write’. For more information please check out my website: foxyandfriendsbooks.ca (sorry I don’t know how to hyperlink that for you). My goal is to get children outside, playing in nature and using their imaginations to create stories. PS I will have a display of my books at the Surrey Teachers’ Convention on May 5th. Delighted to discover you! I teach writing studies at the University of Alberta in Edmonton. I get my students to move a lot in our class–and regularly compel them outdoors to walk, think, and write. Of course this is an ages-old idea (Socrates) and also connects with indigenous pedagogies… the word comes from pedal, to walk…the original idea of teaching is walking alongside students. I’m totally into it. I’d love to enact this more in universities. Too many walls! Too much sitting! I myself walk 3-4 hours a day on my desk treadmill working on my PhD! I look forward to reading more of your fabulous ideas; I am an artist and creative nonfiction writer/playwright. We need more creativity in teaching, absolutely. At all levels. Thanks for contacting me Christina! You are absolutely right–walking has been connected to learning, thinking, philosophy, discovery since humans could walk! This series has wide-reaching aims. I think you would really enjoy Dr. Veronica Hotton’s research on walking. Title: Walking Practices in Higher Education: An Inquiry into the Teaching, Writing, and Walking Practices of Five Contemporary Academics.